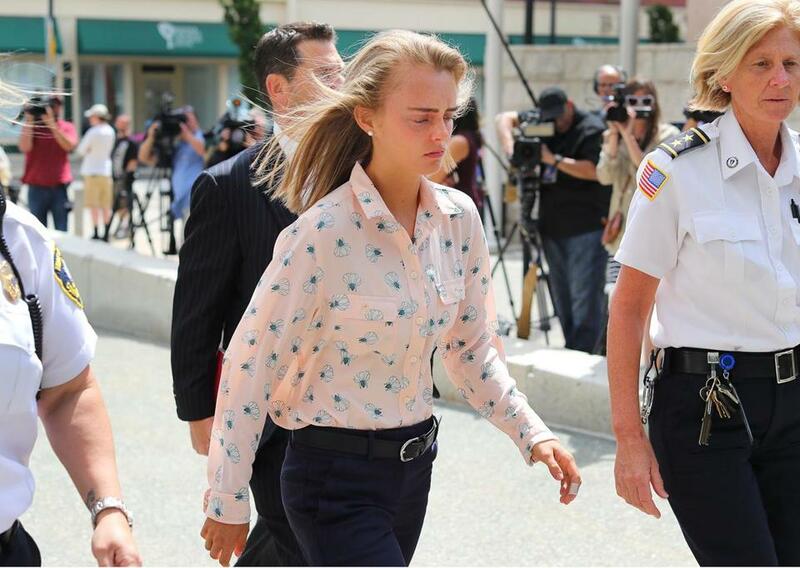 Michelle Carter arrived at Taunton District Court for her sentencing in 2017. Michelle Carter acted with criminal intent when she “badgered” Conrad Roy III into killing himself in 2014, the state’s high court ruled Wednesday as it upheld her involuntary manslaughter conviction and 15-month prison sentence. In a unanimous ruling, the Supreme Judicial Court rejected legal arguments that Carter’s text messages and cellphone calls with Roy were forms of free speech protected by the First Amendment, and instead applied a 203-year-old ruling to her 21st-century communications. Carter was 17 years old and had been out of a psychiatric hospital for about a month when she urged her boyfriend, Roy, 18, to commit suicide on July 13, 2014, according to testimony in her Bristol Juvenile Court trial in 2017. Carter was 30 miles away from Roy and on the phone with him, listening as he inhaled carbon monoxide in his pickup truck in a Fairhaven parking lot, according to testimony. At one point, Roy told Carter he was getting out of the truck, but Carter ordered him back in, prosecutors said. The Mass. 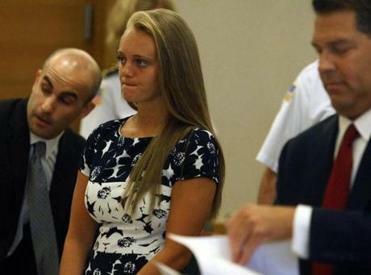 Supreme Judicial Court ruled Wednesday in the case of Michelle Carter, convicted of involuntary manslaughter for encouraging Conrad Roy III to kill himself. The Plainville woman was convicted of involuntary manslaughter in a jury-waived trial in 2017 and sentenced by Juvenile Court Judge Lawrence Moniz to serve 15 months in prison. The sentence has been on hold while the high court reviewed her trial and the defense argument that her actions were not criminal in nature. Bristol District Attorney Thomas Quinn III said in a statement his office will ask the Juvenile Court in the near future to order Carter to begin serving her prison sentence. Quinn said he was “pleased” that the SJC upheld Carter’s conviction. In a telephone interview, Roy’s paternal grandmother, Janice Roy, echoed Quinn. Janice Roy said she attended every hearing during the trial phase and will be in court when Carter, as expected, is ordered to start serving her sentence. “It will be a good end, a kind of closure,” she said. In the 33-page decision, the high court referred to its earlier ruling in the Carter case, when it concluded that there was enough evidence for the matter to go to trial — even though Carter was not in direct physical contact at the time of Roy’s suicide. In the aftermath of her conviction by a judge, the court said Wednesday that it was once again making it clear Carter was properly tried. Roy, Kafker wrote, was a “vulnerable, confused, mentally ill, eighteen year old” who had gotten out of his pickup truck filled with carbon monoxide fumes into fresh air. Roy and Carter called one another boyfriend and girlfriend but had only met a couple of times in person. The court responded to arguments from the American Civil Liberties Union of Massachusetts and others who saw the criminal case as an infringement of Carter’s First Amendment rights because her actions involved only words, not any physical act. Massachusetts’ involuntary manslaughter law covers “wanton and reckless conduct” that causes the death of another and that includes “overpowering [another] person’s will to live and resulting in a person’s death,’’ Kafker wrote. “We are therefore not punishing words alone . . . but reckless or wanton words causing death,’’ he wrote. The court also cited an 1816 case in which a man was prosecuted for urging a man in an adjoining prison cell to commit suicide. The principle was applied in a 1961 case, the court said. “Our common law provides sufficient notice that a person might be charged with involuntary manslaughter for reckless or wanton conduct, including verbal conduct, causing a victim to commit suicide,’’ the court ruled. One concern raised by lawyers was that Carter’s case would lead to prosecution of loved ones as they discuss end-of-life issues, which could include a discussion about suicide. But Matt Segal, legal director of the ACLU of Massachusetts, which filed an amicus brief on Carter’s behalf during her appeal, said the ruling gives the government overly broad powers. Maria Cramer of the Globe staff contributed to this report. John R. Ellement can be reached at ellement@globe.com. Follow him on Twitter @JREbosglobe. Travis Andersen can be reached at tandersen@globe.com. Follow him on Twitter @TAGlobe.